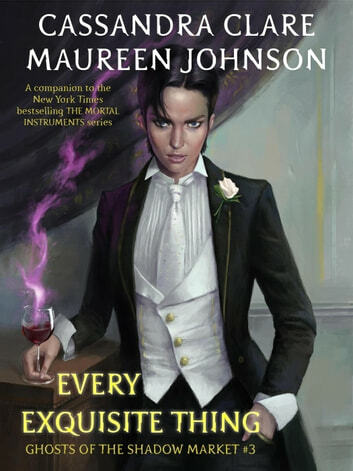 In the third of the USA Today bestselling Ghosts of the Shadow Market series, Anna Lightwood, eldest child of Gabriel and Cecily, is mad, bad and dangerously dapper. Every rake has an origin story, though: now under Brother Zachariah's eye we see Anna's doomed love story unfold. "[A]n almost Shakespearean rollercoaster ride." Cassandra Clare was born to American parents in Teheran, Iran and spent much of her childhood traveling the world with her family. She lived in France, England and Switzerland before she was ten years old. Since her family moved around so much she found familiarity in books and went everywhere with a book under her arm. She spent her high school years in Los Angeles where she used to write stories to amuse her classmates, including an epic novel called "The Beautiful Cassandra" based on the eponymous Jane Austen short story (and from which she later took her current pen name). After college, Cassie lived in Los Angeles and New York where she worked at various entertainment magazines and even some rather suspect tabloids. She started working on her YA novel, City of Bones, in 2004, inspired by the urban landscape of Manhattan, her favorite city. In 2007, the first book in the Mortal Instruments series, City of Bones, introduced the world to Shadowhunters. The Mortal Instruments concluded in 2014, and includes City of Ashes, City of Glass, City of Fallen Angels, City of Lost Souls, and City of Heavenly Fire. She also created a prequel series, inspired by A Tale of Two Cities and set in Victorian London. This series, The Infernal Devices, follows bookworm Tessa Gray as she discovers the London Institute in Clockwork Angel, Clockwork Prince, and Clockwork Princess. The sequel series to The Mortal Instruments, The Dark Artifices, where the Shadowhunters take on Los Angeles, began with Lady Midnight, continues with Lord of Shadows and will conclude with Queen of Air and Darkness. Other books in the Shadowhunters series include The Bane Chronicles, Tales from the Shadowhunter Academy, and The Shadowhunter's Codex. Her books have more than 36 million copies in print worldwide and have been translated into more than thirty-five languages. 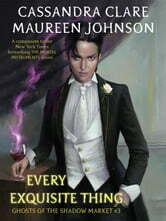 Maureen Johnson is the New York Times and USA Today bestselling author of several YA novels, including 13 Little Blue Envelopes, Suite Scarlett, and The Name of the Star. She has also done collaborative works, such as Let It Snow (with John Green and Lauren Myracle), and The Bane Chronicles (with Cassandra Clare and Sarah Rees Brennan). Maureen has an MFA in Writing from Columbia University. She has been nominated for an Edgar Award and the Andre Norton Award, and her books appear frequently on YALSA and state awards lists. Time Magazine has named her one of the top 140 people to follow on Twitter (@maureenjohnson). Maureen lives in New York, and online on Twitter. Really enjoyed the perspective and I love the characters!